Algeria’s President Abdelaziz Bouteflika called off a meeting with visiting Saudi Crown Prince Mohammed bin Salman on Monday because of ill health, the national news agency APS reported. It said the 81-year-old president, whose health has been fragile since he suffered a stroke in 2013 and is rarely seen in public, was “in bed with heavy flu”. Bouteflika postponed a meeting with German Chancellor Angela Merkel in February 2017 and was last seen on Algerian television on November 1 laying a wreath at the country’s independence war memorial. 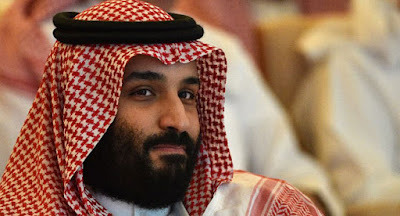 Prince Mohammed, who has been making his first foreign tour since the October 2 murder of Saudi journalist Jamal Khashoggi, held talks instead with Prime Minister Ahmed Ouyahia, Algeria’s presidency said. The visit would focus on “partnerships and investment projects”, the Algerian presidency said before the prince arrived in Algiers late Sunday on a flight from Mauritania. Like a previous stop in Tunis, the crown prince’s visit has drawn criticism from political and academic circles in Algeria over the Saudi-led war in Yemen and Washington Post columnist Khashoggi’s grisly murder in the Saudi consulate in Istanbul.